Kimberly Johnson. Made Flesh: Sacrament and Poetics in Post-Reformation England. Philadelphia: University of Pennsylvania Press, 2014. 248p., ill. ISBN 9780812245882. US $59.95 (hardcover). Kimberly Johnson’s Made Flesh makes clear the goal of her work in its striking and direct opening sentence: “This is a book about how poems work, and about how the interpretive demands of sacramental worship inform the production of poetic texts” (1). Johnson sets her project apart from other critical texts on post-Reformation sacramental poetics, which aimed to do this very thing, but failed, as Johnson posits, to truly engage “the way poems work as literary artifacts” (1). Retired Director of the Thomas Fisher Rare Book Library, Anne Dondertman, is quite right in her Foreword to the exhibition catalogue of Struggle and Story: Canada in Print that the “Fisher exhibition will no doubt be one of dozens if not hundreds of exhibitions celebrating our nation held throughout the country during 2017 [ie., Canada’s sesquicentennial of Confederation, the uniting of the provinces into a country]” (5). I agree – and I think Library patrons will also – with the two reasons that she gives in setting this exhibition apart from any other: first, she notes “the deep knowledge of the curator,” Pearce Carefoote, who “enthusiastically embraced this challenge almost from the time he first joined the staff in 2002” (5); second, she writes of the extraordinary repository of unique and Rare documents of Canadiana preserved at the Thomas Fisher Rare Book Library through traditions “even predating the establishment of special collections [of the University of Toronto] as a separate department in 1950” (5). This summer, thanks to SHARP’s excellent scholarship program, I was fortunate enough to attend the Australasian Rare Book Summer School at the University of Otago. I participated in The Origins of Rare Books course, studying under the instruction of Professor David McKitterick, Fellow Librarian and Vice-Master of Trinity College, Cambridge. Over five days, we examined changing ideas of rarity as they relate to books, framed by a formalised study of European rare book collecting and book history from the seventeenth century to the present day. Paulette M. Rothbauer, Kjell Ivar Skjerdingstad, Lynne (E.F.) McKechnie, and Knut Oterholm, eds. 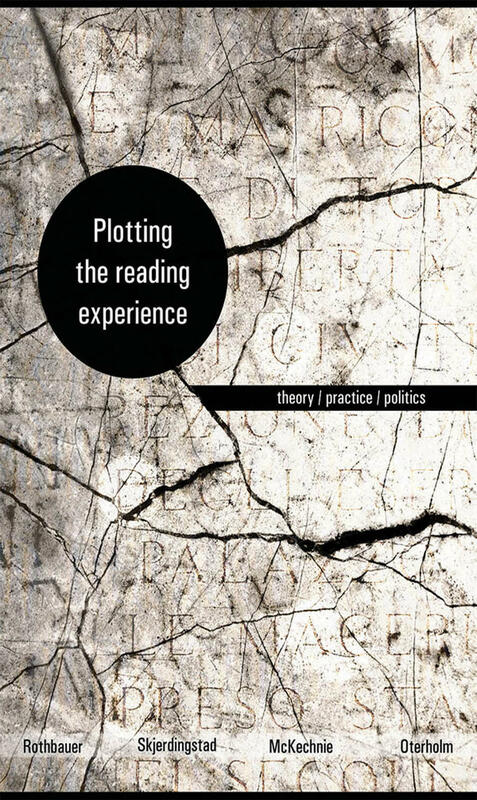 Plotting the Reading Experience: Theory, Practice, Politics. Waterloo, Canada: Wilfred Laurier University Press, 2016. ix, 404p. ISBN 9781771121736. US$ 85.00. Must have been fun. On June 11-12, 2013, 60 scholars gathered at Akershus University’s College of Applied Sciences in Oslo, Norway to share their research on readers and reading. Plotting the Reading Experience contains 23 papers presented there that focus on readers and their reading experiences. The volume is organized into the three broad yet interdependent categories: theory, practice, and politics. Essays embrace a variety of research methodologies and disciplinary approaches; cover the reading of poetry, fiction, and nonfiction by children and adult readers in the twentieth and twenty-first centuries; and focus on the Western world, with generous attention to Scandinavian readers. Janet Neary. Fugitive Testimony: On the Visual Logic of Slave Narratives. New York: Fordham University Press, 2017. 222p., ill. ISBN 9780823272891. US$ 27.00 (paperback), US$ 95.00 (hardcover). I have written a number of reviews, but rarely do I crack open a book to review and immediately become so immersed that I have trouble putting the book down. Only a couple pages in, I found myself scribbling notes in the margins, asking questions, and tying the subject matter to my own research and exhibitions. Fugitive Testimony is interdisciplinary, comparing and contrasting historical slave narratives and narratives in contemporary art. Alexander Starre. Metamedia: American Book Fictions and Literary Print Culture after Digitization. Iowa City: University of Iowa Press, 2015. 310p., ill. ISBN 9781609383596. US$ 55.00. Metamedia is part of the University of Iowa Press series Impressions: Studies in the Art, Culture, and Future of Books, edited by Mathew P. Brown. Starre, a German-based American literary scholar, concerns himself with American literature and the dawn of the ebook at the turn of the millennium. “The complex phenomenon of metamediality exhibits the irritations that media change initiated in recent American literature” (29), Starre argues, justifying his particular emphasis on American literature. This year’s Book History Graduate Essay Award goes to Kathryn A. Schwartz, for her essay titled “Did Ottoman Sultans Ban Print?” The entire field of the history of the book in the Ottoman Empire rests on a deeply-rooted and longstanding fallacy, that is, the idea that Ottoman sultans at some point in the fifteenth or sixteenth century ‘banned’ print. In this article, Schwartz provocatively and convincingly argues that the accepted interpretation of an ordinance banning print has no documentary basis. David Peplow, Joan Swann, Paola Trimarco, and Sara Whiteley. 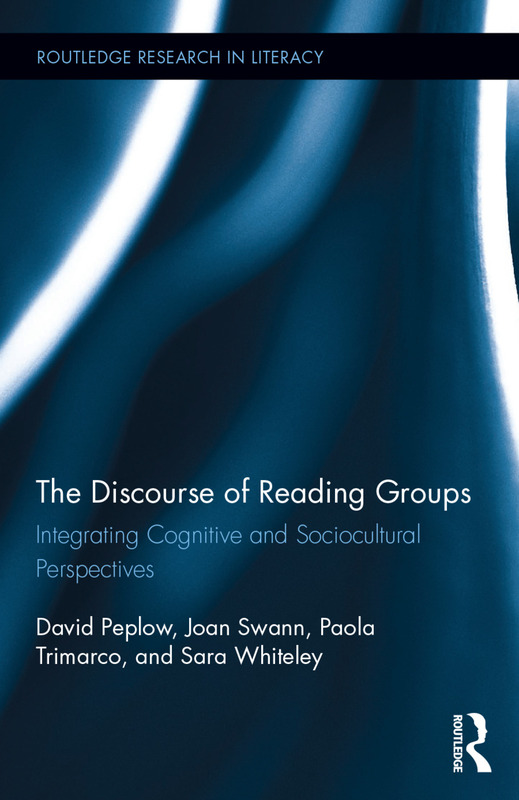 The Discourse of Reading Groups: Integrating Cognitive and Sociocultural Perspectives. New York and London: Routledge, 2016. ix, 203p. ISBN 9780415729697. US$ 163.00 (hardback). ISBN 9781138086067. US$ 45.95 (paperback). This book, co-authored by linguistics experts, examines reading group discussion through a series of case studies of English-speaking (mostly British) readers and their conversations about canonical and contemporary literary texts. The main aim of the authors is to combine the concepts and analytical frameworks available within cognitive linguistics – more particularly, stylistics – and sociolinguistics in order to produce an analysis of book group discussion that simultaneously takes account of reader-text interaction, group dynamics, and the identities of readers. Timothy Laquintano. Mass Authorship and the Rise of Self-Publishing. Iowa City, IA: University of Iowa Press, 2016. xi, 243p. ISBN 9781609384456. US$ 25.00 (paperback). Over the past 20 years, scholars, public intellectuals, parents, and teachers have fretted over the impact of the computer and other digital technologies that have transformed reading. Of course, the computer has also changed the way we write, edit, and share texts as well as the ways that we locate and purchase them. And, as Timothy Laquintano explains in Mass Authorship and the Rise of Self-Publishing, digital tools have completely transformed publishing by making it quicker, easier, cheaper, and far more accessible. This two-day workshop was organized by the University of Chicago in collaboration with Jadavpur University, Kolkata and held in New Delhi from 9 to 10 March 2017 at the University of Chicago’s Delhi Center. The papers were mostly delivered by young doctoral or post-doctoral researchers from India and Nepal, together with some from more established scholars in India and the United States – a mutually beneficial exchange between two generations. Together the papers comprised an informal case-study of South Asia with researchers still sifting for the most appropriate methodologies to pursue towards a fuller understanding of the region in book history terms.